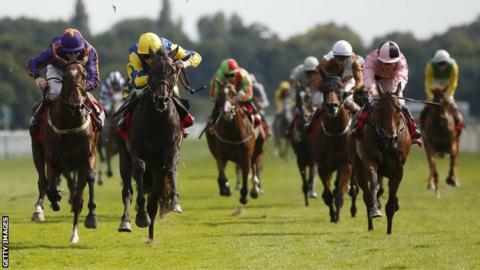 Litigant, a 33-1 shot, captured the Ebor Handicap, the richest Flat-racing handicap in Europe, over one mile and six furlongs at York. The seven-year-old, who had not raced for 491 days, was running for the first time under trainer Joe Tuite. Under jockey Oisin Murphy, Litigant ran on strongly and had a length-and-a-half in hand over Willie Mullins' Wicklow Brave, priced at 9-1. Suegioo (40-1) was another neck away in third and Toe The Line (25-1) fourth.